Capturing love and laughter through the Light of life. I just adore this family! I started out doing pictures for Krista and Joe while she was pregnant with Parker, then Parker's newborn, a few of Parker's growing first year, and now sweet baby Colin's newborn. 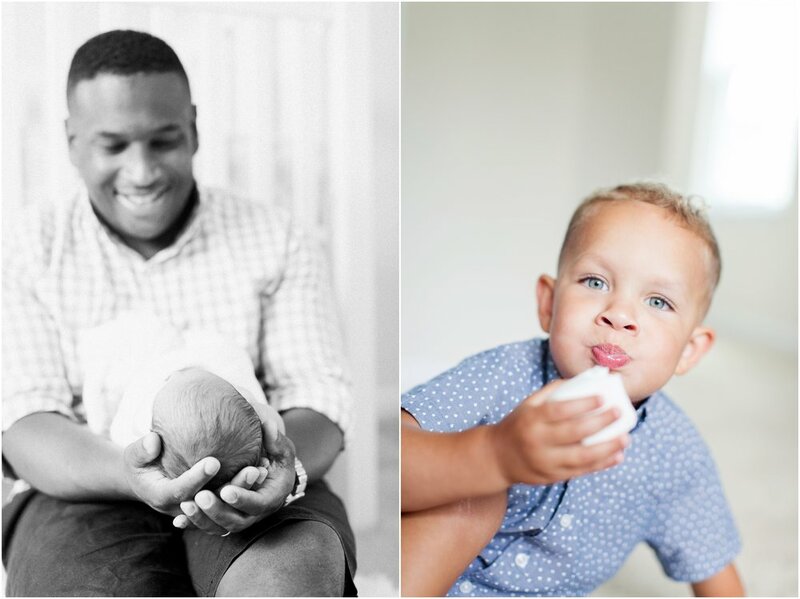 I love how these images capture their new normal for the growing family! NOW: 1 book; 2 babies and 4 loving arms for 20 little toes. <3 Enjoy these images from their NC InHome Newborn Session! Welcome Friends! It's so nice to meet you! I'm Brittany, the face behind Brittany Terris Photography, natural light/lifestyle photographer in Raleigh, NC. My hopes is that you would relax, treat yourself to a cup-a-joe and make yourself at home as you browse through BTP's latest blogs and images! In everything personal and professional, Brittany Terris Photography strives to follow Jesus, rather than asking Jesus to come follow BTP. Fame is no friend of mine, rather I desire to make famous the Name of the Lord wherever He sends. So, the Lord and I have teamed up to somehow combine the beauty of photography with the amazingly raw and utterly real happenings of life. Even if we only get to see a slight glimpse of His glory; our great commission is being fulfilled. You will occasionally see personal blogs about Jesus and/or personal life. This is simply a way for me to share what the Lord is teaching me, bare my soul and be as transparent as possible with others as a follower of Jesus, wife, mother, friend and a real & personable person; not just someone who takes your pictures! :) By doing this, I hope to create an authentic & trustworthy blogging atmosphere, where I invite you to come alongside me, pray with me, share the highs and the lows, and simply do life together. This life is hard! We need community. So, as He continues to send us out, may the work He is doing in and through us inspire others into a relationship with Him. After all, He desires to be with us.